Find a hard, flat surface for practicing. Playgrounds and parking lots are ideal. 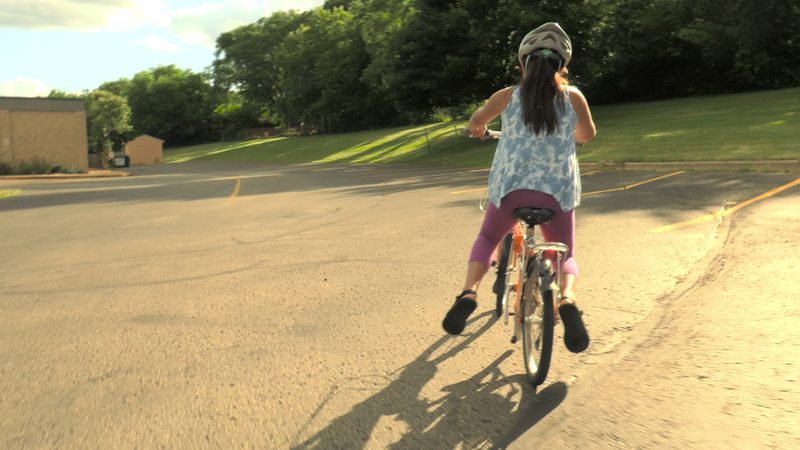 Remove the training wheels; you won't need them. 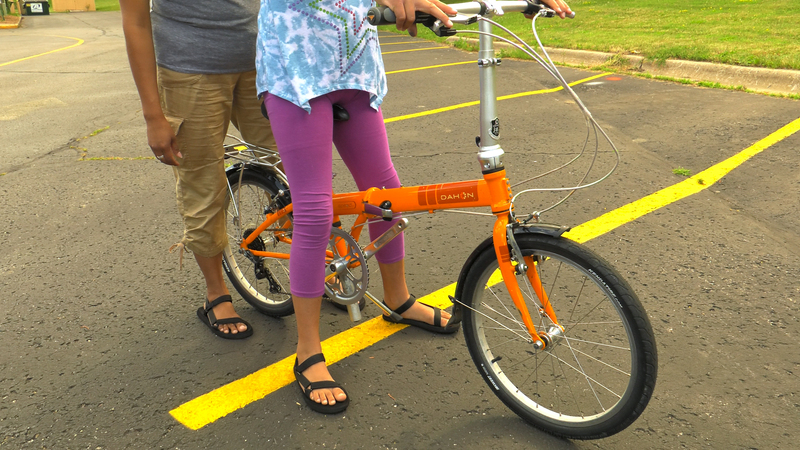 Remove the pedals turning the left clockwise and the right counterclockwise. Put them aside, noting which is left and which is right. Ensure the cyclist is in the ready position. Feet flat on the ground, bottom on the seat and eyes straight ahead. 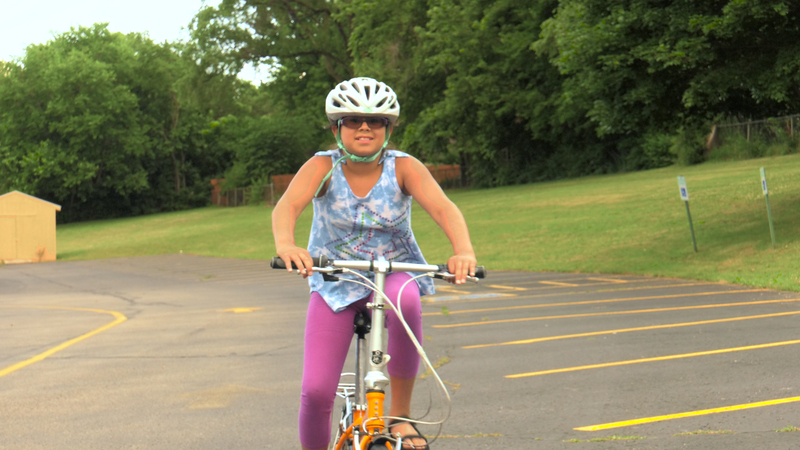 Have them push the bike slowly at first and then harder as they get more comfortable. Once they get some momentum, have them lift their feet off the ground. Encourage them to push, push, push and glide. Explain that the harder they push, the faster they go; the faster they go, the easier it is to balance. 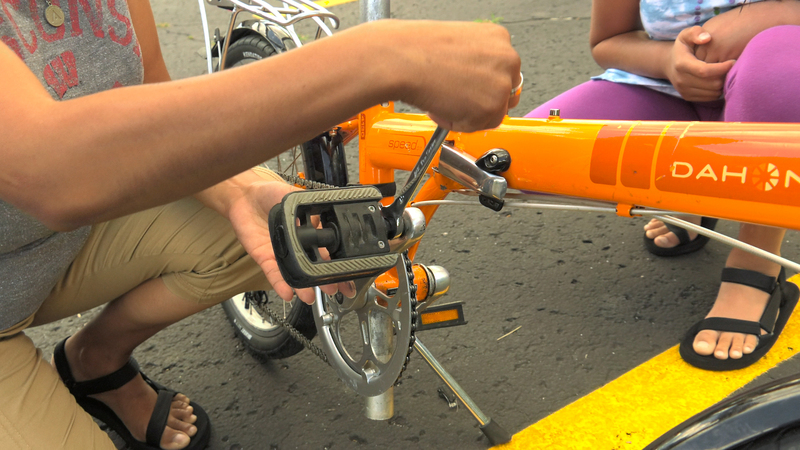 Once they can balance their bike for about 20 feet and make turns, replace the pedals. Turn the left pedal counterclockwise; the right pedal clockwise. The cyclist should push themselves like before and then start to pedal. Remember everyone learns at their own pace. They will ride when they are ready.